Climate Smart Glacier Country > Events > Food and Soil > Free the Seeds! Join Free the Seeds! on March 2, 2019, 9 am-3:30 pm, at Flathead Valley Community College, Kalispell, Montana, for our 4th Annual Fair. This is a FREE community-powered event that encourages people to build a sustainable and resilient future through real seeds, real food, and real skills. The fair offers something for everyone, including a seed swap and dozens of resource booths, skill-building workshops, and community roundtable discussions. This year’s event focuses on our local food system and your part in it. Workshop highlights include beekeeping basics, successful seed starting, and food preserving techniques, as well as kid-friendly activities (ages 8+). Free the Seeds! is a program of Farm Hands – Nourish the Flathead, a registered 501(c)(3) nonprofit organization. 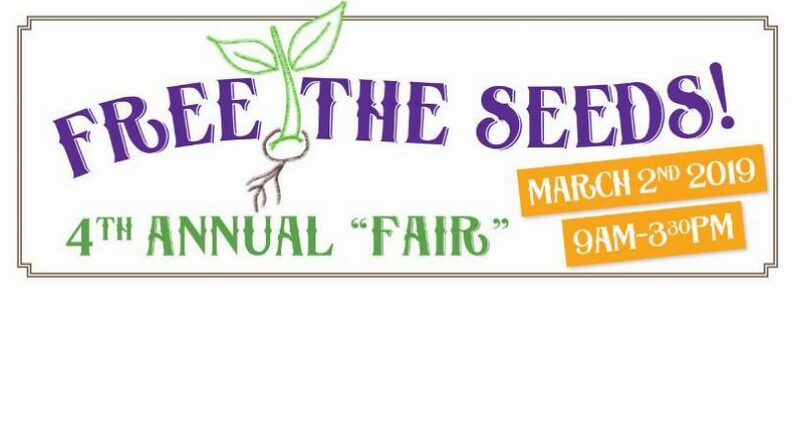 For more information about the 4th Annual Fair, or to become a sponsor of Free the Seeds!, visit freetheseedsmontana.com. Be sure to stay up-to-date on Free the Seeds! by following their social media on Facebook, Instagram, and YouTube. Register for Event: Free the Seeds!